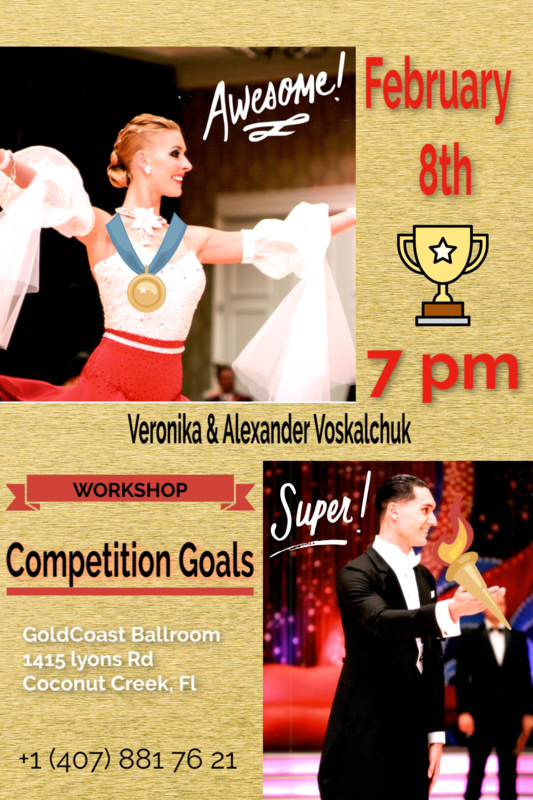 Goldcoast Ballroom & Event Center | SPECIAL WORKSHOP – ‘COMPETITION GOALS’ – 7:00 PM – 8:00 PM – with US Open Professional Champions ALEXANDER & VERONIKA VOSKALCHUK!! – $20 per person; $30 per couple – Also Available for Private Lessons! – Call (813) 966-5438 to schedule! 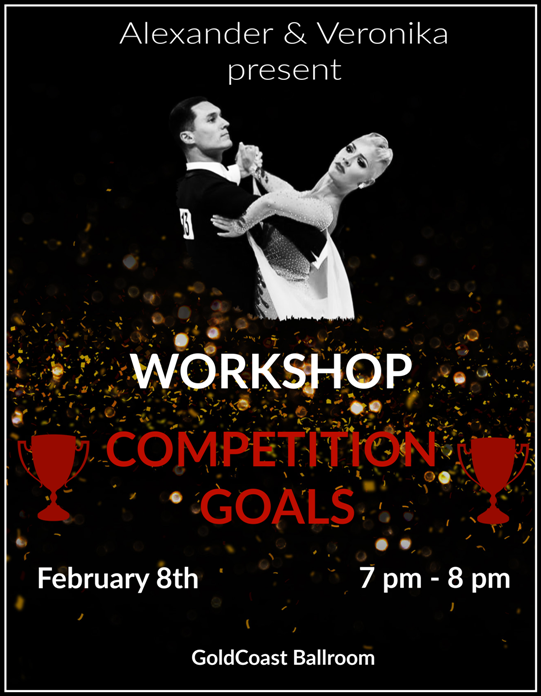 SPECIAL WORKSHOP – ‘COMPETITION GOALS’ – 7:00 PM – 8:00 PM – with US Open Professional Champions ALEXANDER & VERONIKA VOSKALCHUK!! – $20 per person; $30 per couple – Also Available for Private Lessons! – Call (813) 966-5438 to schedule! We are truly Honored to have them with us! from two of the Very Top Competitive Ballroom Dancers in the World!! Competition taking place at Goldcoast Ballroom All Day and Evening, Saturday, February 9, 2019! 7:00 PM – 8:00 PM! !